This photograph of an unknown child was included in the Frances Philomena Selker Collection. The original image is approximately 6.75 inches x 5.25 inches mounted on a hard board like paper. The portrait is landscape and is similar to a cabinet card. The bottom corner of the original is stamped with the studio name and Clarion, Pennsylvania. The studio name may have been Lewis. Cabinet card type photographs were first introduced in the United States in 1866. Cabinet cards were a frequently used from 1878 - 1879. As it took trends longer to reach smaller cities and rural areas cabinet cards were used into the early 1900's. Cabinet card type photographs with dark colors, like the dark green shown above, were popular from 1884 - 1895. Cabinet card type photographs with the photographer's name imprinted on the card stock, similar to above, were popular from 1894 -1900. Leopold George Selker, Sr. born 28 September 1891. William C. Selker born 5 November 1892. William died young at age 9 on 18 November 1902. Edward C. Selker born 28 March 1894. Frederick William Selker born 15 October 1896. 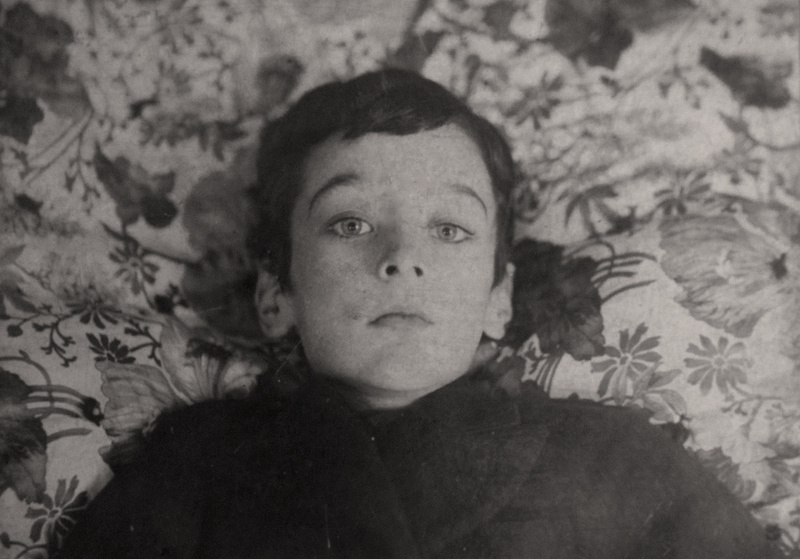 If the photograph was taken in 1896 or 1897 the boy pictured would most likely be Leopold George Selker, Sr., photographed at 5 or 6 years old, or William C. Selker, photographed at 4 or 5 years old. If the photograph was taken in 1899 or 1900 the boy pictured would most likely be Edward C. Selker, photographed at 5 or 6 years old. If the photograph was taken in 1901 or 1902 the boy pictured would most likely be Frederick William Selker, photographed at 5 or 6 years old. Joseph William Selker and Frances Philomena Guth are my 2nd great-grandparents. Leopold George Selker, Sr., William C. Selker, Edward C. Selker and Frederick William Selker are my 2nd Great Uncles. Frances Philomena Selker is my great-grandmother. Her daughter Mary Eugenia McDonald is my paternal grandmother . Clark, Gary W. 19th Century Card Photos KwikGuide. PhotoTree.com Page 38. Clark, Gary W. 19th Century Card Photos KwikGuide. PhotoTree.com Page 42. Clark, Gary W. 19th Century Card Photos KwikGuide. PhotoTree.com Page 43.